Walhalla’s FFA Chapter is now a three-star winner. The National FFA, formerly known as the Future Farmers of America, recently selected the Walhalla chapter from a pool of more than 650 candidates nationwide. The three-star rating is the highest level of accomplishment a chapter may achieve. As part of the application process, Walhalla FFA showcased an active involvement with the community, such as its collaboration with Leadership Oconee in designing and implementing the landscaping at the new location of the Walhalla Chamber of Commerce. 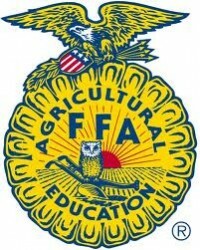 FFA is a national youth organization of more than 500 thousand student members who are preparing for leadership and careers in the science, business and technology of agriculture.